Memorial is preparing for convocation season, a highlight of which will be the awarding of honorary degrees to outstanding individuals who exemplify leadership and excellence in their fields and in their communities. Over the course of 12 ceremonies, 10 accomplished people will be presented with degrees honoris causa – two in Corner Brook and eight in St. John’s. In Corner Brook honorary degrees will be awarded to Inuk elder Sarah Anala and film pioneer Barbara Doran. In St. John’s the honorees are the “father of the modern Canadian air force” William Carr; child advocate and Roots of Empathy founder Mary Gordon; social entrepreneur Zita Cobb; chemistry role model Dr. Margaret-Ann Armour; hockey legend Howie Meeker; architect Dr. Robert Mellin; educator and entrepreneur Dr. Georgina Hedges; and community advocate Penelope Rowe. The honorary doctorate degree recognizes extraordinary contribution to society or exceptional intellectual or artistic achievement. Honorary degree recipients are chosen by the Senate, the university's academic governing body, after a careful examination of the grounds for their nomination. The awarding of honorary doctorates, an important feature of Memorial’s convocation, serves to celebrate both the individual and the university, as well as to inspire graduates, their families and guests. Memorial’s spring convocation ceremonies will take place on Friday, May 8, at the Arts and Culture Centre in Corner Brook, and from Tuesday, May 26, to Friday, May 29, at the Arts and Culture Centre in St. John's. Sarah Anala was born in Nain and lived her childhood on the land and on the water. At the age of 12, she attended the residential school in North West River, Labrador. She eventually moved to St. John’s to study nursing at the Grace Hospital and graduated in 1968 as an honours student, the first Inuk to do so. She moved to New Brunswick in 1971. For the past 45 years, Ms. Anala has been a holistic healer, healing the mind, body, spirit, emotions and behaviour using her own tools which she developed using the Inuit culture, traditions, language and ethos. With these tools, she has devoted her life to working with Aboriginal men and women who are involved in the justice system. She currently works for Correctional Service Canada at its regional headquarters in Moncton, N.B., and at the national headquarters in Ottawa, Ont. As Inuk elder and liaison, she develops and pilots Inuit-specific programs and services and trains other Inuit to deliver those programs to Inuit offenders in the Atlantic region, Ontario and Quebec. Ms. Anala was also part of the development of the National Aboriginal Substance Abuse Program within Correctional Service Canada and subsequently delivered this program to incarcerated Inuit offenders. Her knowledge and experience continue to be sought across Correctional Service Canada to assist in the development and understanding of the cultural needs of the Inuit offender population to meet reintegration and public safety objectives. Ms. Anala’s contributions to promoting Inuit culture and Inuktitut, Nunatsiavut dialect in particular, have been key for many years in the spread of social justice awareness in areas where it is most often at risk. For example, she was instrumental in introducing the institution of circles of support and accountability to Labrador. 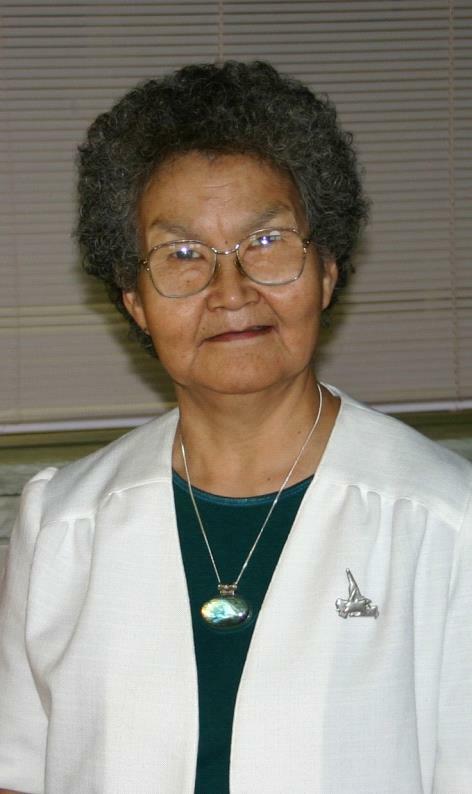 In 1997 Ms. Anala was made a member of the Order of Canada and in 2009 she was named Labrador Inuit Role Model. For her contributions to Inuit life and culture, in particular to the lives of those at risk, Sarah Anala will receive the degree of doctor of laws at the 10 a.m. session of convocation on Friday, May 8, in Corner Brook. Starting with Finding Mary March in 1987 through to the quirky nationalist rant A Secret Nation, from a series of biographical portraits of Elliott Leyton, Joseph Smallwood, Cathy Jones and Gordon Pinsent to her most recent success, The Grand Seduction, which opened the 2013 Toronto International Film Festival and was a Best Picture finalist, Barbara Doran has made a remarkable impact upon Newfoundland and Labrador over the past three decades. A pioneer in the development of film and the film industry in the province, Ms. Doran began her career by participating in the National Film Board’s innovative Studio D program, an iconic women’s documentary studio that encouraged the participation and training of women in the film industry. 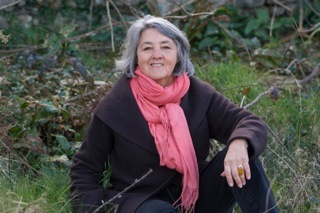 Though film production has traditionally favoured male artists, Ms. Doran has written, directed and produced more than 30 documentary and dramatic films in many different countries. The founder of the film production company Morag Loves Company, Ms. Doran’s diverse film subjects reflect the breadth of her interests and her social commitment: the sweatshops of Guatemala, women prisoners in Pakistan, AIDS workers in South Africa, serial killers on death row, the French presence in Newfoundland, and the music and poetry of Newfoundland and Ireland. Ms. Doran is also a mentor who has fostered talent in many young and emerging artists, whether she is working in the role of a producer of new scripts by new writers or as a director of a production. The Grand Seduction, Ms. Doran’s latest feature, is an award-winning international box office hit starring high-profile actors Brendan Gleeson and Taylor Kitsch. The film won Best Direction, Best Art Direction and Best Supporting Actor at the 2014 Canadian Screen Awards as well as being one of North America’s top 10 films of 2014. Ms. Doran won a Silver Award at the New York Film Festival in 1994, was honoured with two Gemini Awards in 2001 and was recognized with the Queen’s Diamond Jubilee Medal in 2012. 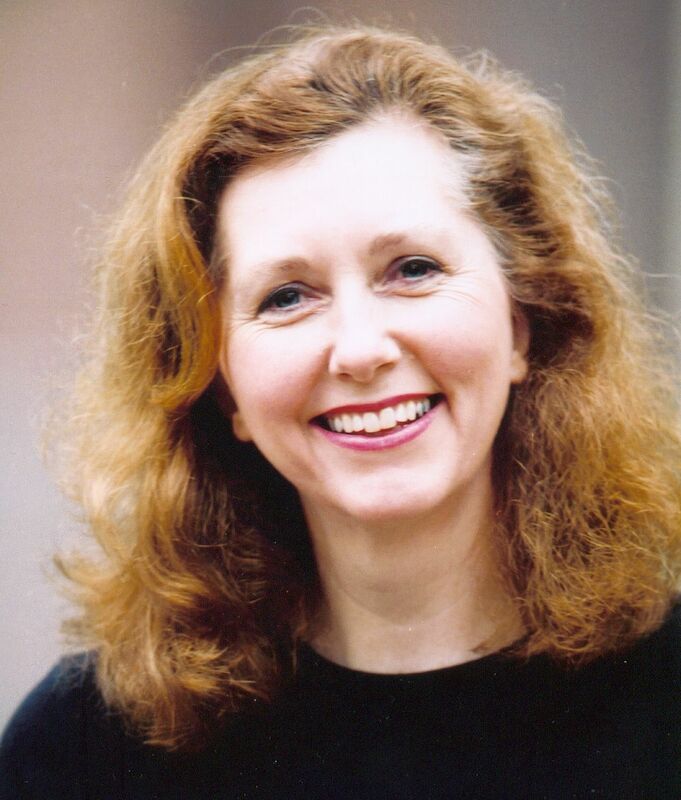 Some other career highlights include her film Harbour Symphony being a finalist at the 1992 Cannes Film Festival in Nice, France, and bringing Bernice Morgan’s novel, Random Passage, to CBC Television in 2001 to a record 1.25 million viewers. The period film set has been preserved on the shores of Trinity Bay and offers visitors the experience of what life was like in a 1880s-era fishing outpost. For her long commitment to and achievement in film, Barbara Doran will receive the degree of doctor of laws at the 7:30 p.m. session of convocation on Friday, May 8, in Corner Brook. Regarded today as the “father of the modern Canadian air force,” William Carr was born in 1923 and into a successful fish import and export family in Grand Bank on the Burin Peninsula. 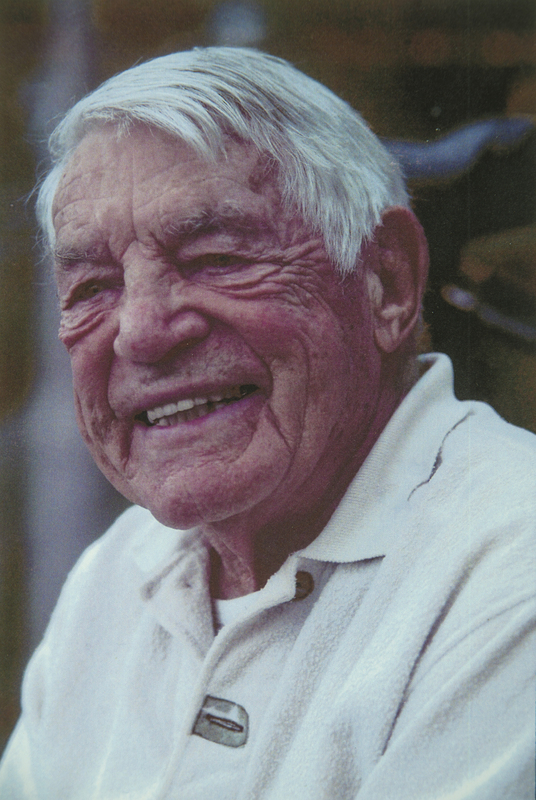 After completing his early education at the United Church Academy at age 15, he enrolled in Mount Allison University in Sackville, N.B., graduating with a bachelor of commerce degree in 1941. He later attended the Rochester Institute of Technology, where he earned a master of science degree in 1949. Upon graduation from Mount Allison, Mr. Carr joined the Royal Canadian Air Force (RCAF) and flew unarmed photo reconnaissance Spitfire airplanes on 142 operational missions out of England, Malta, Sicily and Italy. For this he was awarded the Distinguished Flying Cross. He returned to Canada in 1945 and for the next 33 years served in the Canadian Forces at home and abroad. Mr. Carr was a member of the team of RCAF airmen involved in the mapping of Canada’s North and the Arctic on float- and ski-equipped aircraft; it was during this period that a newly discovered 145-square-mile lake in the Northwest Territories was named Carr Lake in his honour. Rising steadily through the ranks, in 1974 he was made deputy chief of the Defence staff. He was also raised to the rank of lieutenant-general in that year. During that same period, he was successful in convincing the Defence Council and the government of the day that all Canadian military air force resources should be consolidated as the Armed Forces Branch for Air. For this achievement, he was named commander of the branch and held the position until retirement in 1978. Upon leaving the Canadian Forces, Mr. Carr became a marketing executive and consultant with Canadair/Bombardier and was credited as being the spur that stimulated much of the future successes of Bombardier Aerospace. In 1944 Mr. Carr was awarded the Distinguished Flying Cross. In 1976 he was named the recipient of the C.D. Howe award by the Canadian Aeronautics and Space Institute and in 1977 he was made commander of the Order of Military Merit. In 2001 he was inducted into Canada’s Aviation Hall of Fame and in 2004 he was inducted into the Veterans Hall of Honour. For his achievements in both military and civil aviation, along with his proven leadership and organizational abilities and their outstanding benefit to Canada, William Carr will be awarded an honorary doctor of laws degree during the 10 a.m. session of convocation on Tuesday, May 26, in St. John’s. From her early beginnings as a kindergarten teacher, Mary Gordon has been driven by her empathy for children and parents coping in a world of rapid social change and communities of linguistic, cultural and ethnic diversity. Recognized internationally as an award-winning social entrepreneur, educator, author, child advocate and parenting expert, Ms. Gordon was born and raised in St. John’s, where she attended Memorial University, before moving to Toronto, Ont. There she earned her Ontario Elementary Teacher’s Certificate in 1969 and, subsequently, a bachelor of arts degree from York University in 1983. Ms. Gordon is the founder of Canada’s first and largest school-based Parenting and Family Literacy Centre, which she initiated in 1981. The centres have become public policy in Ontario and have been used as a best practice model internationally. In 1996 she first introduced the Roots of Empathy program and in 2000 established the national and international organization Roots of Empathy, which now offers programs in every province of Canada and in 10 countries in multiple languages. The program has been shown to develop empathy and reduce aggressive behaviour in the classroom. It harnesses the vulnerable and unthreatening nature of babies as school children work together to observe and nurture a baby brought into the classroom throughout the school year. Seeds of Empathy, for 3-5 year olds in child care, was created by Ms. Gordon in 2008 and is in place in Canada and the United Kingdom. Both programs help to break destructive and often intergenerational behavioural patterns as the children of today become the citizens and parents of tomorrow. Ms. Gordon has had several dialogues with the Dalai Lama, been featured in several documentary films and her book, Roots of Empathy: Changing the World Child by Child, is a Canadian bestseller. She was honoured with the Ontario Teachers' Federation Lifetime Fellowship Award in 2004, made a member of the Order of Canada in 2005 and was invested with the Order of Newfoundland and Labrador in 2012. She is the 2011 recipient of the Manning Innovation Award for the top social entrepreneur in Canada. For her imaginative and entrepreneurial approach to education, Mary Gordon will receive the degree of doctor of laws at the 3 p.m. session of convocation on Tuesday, May 26, in St. John’s. Since retiring from a senior executive position with JDS Uniphase in 2001, Zita Cobb has devoted her life to being a philanthropist and social entrepreneur. Raised in Joe Batt’s Arm, Fogo Island, Ms. Cobb is the second youngest child and only daughter in a family of seven children. In 1975 at the age of 17, she left home to study business at Carleton University in Ottawa, Ont. In the years since she left her hometown, she entered – and left – the technology boom at just the right time, made sound investments and worked with some of Canada’s top leaders. Thanks to her financial freedom, Ms. Cobb travelled the world, wandering the coastlines and villages in Europe and Africa, all the while comparing the new, exotic locales to her birthplace of Fogo Island. Over the years, she frequently returned to her birthplace to spend holidays there, and rebuilt her family home and fishing stage with her brothers’ help. By doing so, she rediscovered her childhood home and that Fogo Island is a place that connects people deeply. Already the patron of the Frangipani Foundation, which provided windup radios to African children who, because of the toll of AIDS and war, had been forced to become heads of households, Ms. Cobb next turned her philanthropic focus to Fogo. More than a decade on, Ms. Cobb’s Shorefast Foundation has brought hope to Fogo Island and other communities in Newfoundland and Labrador that have suffered from steep outmigration since the Canadian government imposed a commercial cod fishing moratorium in 1992. 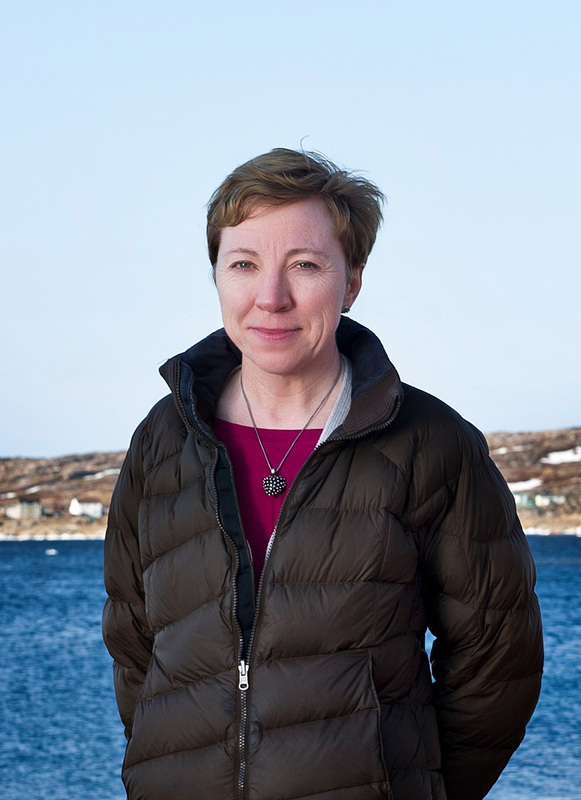 With her brother Tony, who co-founded Shorefast with her, Ms. Cobb envisioned the transformation of Fogo Island and Change Islands into a world model of community innovation and cultural resilience. The foundation built a 29-room inn and several artist studios on Fogo Island, designed to the highest sustainability standards, with the goal of creating jobs and drawing international attention to the decline of rural areas. The inn has since generated more than 100 jobs in a community numbering approximately 2,000 residents. Ms. Cobb’s vision for the inn, and for all of Shorefast’s activities, is to change the way people think about building a sustainable world that respects diverse cultures and the natural environment while embracing business innovation to serve society. The inn has garnered substantial worldwide attention for its commitment to sustainability and respect for cultural traditions. For her philanthropy and social entrepreneurship and for her commitment to and belief in place, Zita Cobb will be awarded the degree of doctor of laws at the 10 a.m. session of convocation on Wednesday, May 27, in St. John’s. 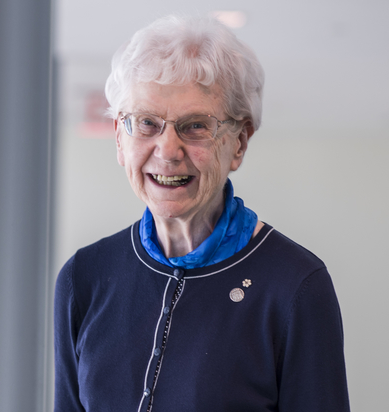 Dr. Margaret-Ann Armour’s contributions to science in the area of handling, recycling and disposing of small quantities of hazardous waste are well known around the world. She is also a role model and mentor for students, educators and other leaders in her profession and community. Born in Scotland, Dr. Armour was educated at Edinburgh University, where she obtained a bachelor of science degree and a master of science degree, and at the University of Alberta, where she completed her doctoral studies in 1970. She joined that institution’s chemistry department in 1979 and has been associate dean of science (diversity) since 2005. As one of the few women in her discipline at the time, Dr. Armour was struck by the need to encourage more women to become involved, not just to change the discipline but also to open the range of opportunities available to them. In 1981 she founded Women in Scholarship, Engineering, Science and Technology (WISEST) at the University of Alberta, which provided high school students with the opportunity to complete paid summer research programs in the university’s research laboratories. In 1989 WISEST was a founding member of the Canadian Coalition of Women in Engineering, Science, Trades and Technology, an organization of about 20 groups across the country with similar mandates. Her vision and leadership has had a profound impact on young and adult women in Newfoundland and Labrador and specifically at Memorial University. In 1989 Women in Science and Engineering NL (WISE NL) welcomed Dr. Armour as a special guest speaker at its provincial conference. She spoke of the unique summer research program taking place at the University of Alberta; the following year, the WISE N.L. Student Summer Employment Program was launched as a pilot at Memorial and continues to this day. Attempting to improve the position of women in the field and to ensure they rose to leadership roles, Dr. Armour began work on a centre to achieve such goals. In 2010 the Canadian Centre for Women in Science, Engineering, Trades and Technology was established with Dr. Armour as president of the board. In 1996 she was honoured with a 3M Teaching Fellowship, Canada’s premier award for undergraduate teaching, and in 2002 with the Governor General’s Award in Commemoration of the Persons Case. In 2005 she was awarded the Montreal Medal, Chemical Institute of Canada, and in 2006 she was named a member of the Order of Canada. She was twice named one of the top 100 most powerful women in Canada by the Women’s Executive Network and was honoured with the Innovator Award at the 2011 APEC Summit on Women in the Economy. For her leadership in the fields of science, engineering, trades and technology and for her positive impact on girls and young women accessing those fields, Dr. Armour will receive the degree of doctor of science during the 3 p.m. session of convocation on Wednesday, May 27, in St. John’s. Howie Meeker has been a hockey player, coach, general manager, announcer, broadcaster, colour commentator, storyteller and studio analyst during the last 50 years, and has instructed and influenced those involved in hockey at all levels, from school hockey at Prince of Wales College in St. John’s to the National Hockey League and at international levels. Mr. Meeker served his country as a member of the Canadian Armed Forces in the 1940s, sustaining an injury when a live grenade exploded beneath his legs during a training exercise in England. In 1951 he won a byelection as the Progressive Conservative candidate for Waterloo-South and, at age 27, became the youngest member of Parliament to be elected at that time. The 1947 Calder Memorial Trophy National Hockey League Rookie of the Year, a three-time player in the National Hockey League All-Star Game and a four-time Stanley Cup winner, Mr. Meeker’s contribution to Canada’s national sport has been felt from coast to coast in Canada – and immortalized with his induction into the Toronto, Newfoundland and Labrador and British Columbia halls of fame, as well as the Ontario Sports Hall of Fame. 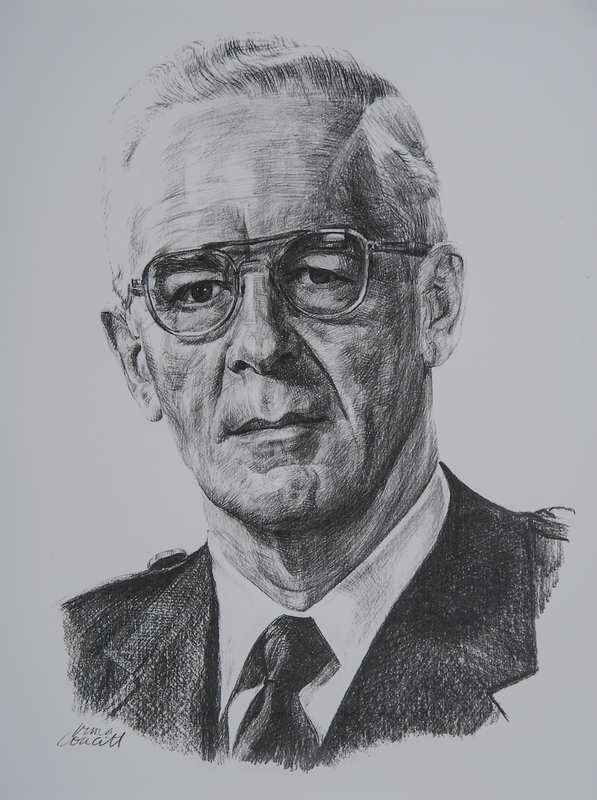 In the late-1950s Mr. Meeker moved to St. John’s and coached the Guards and the Prince of Wales College hockey teams and led the Guards team to four Boyle Trophy wins. He also became an educator and instructional leader. Howie Meeker’s Hockey School, which was a Canadian television production, saw 107 15-minute episodes broadcast on CBC Television from 1973-77. On the show, the former hockey star could be seen putting a class of young skaters through their paces, teaching them how to skate, stickhandle and play the game. He also used a video instant-replay tool, a telestrator, to enhance his hockey analysis during game intermissions. He wrote two books on the subject, one of which, Howie Meeker’s Hockey Basics, named by the Literary Review of Canada as the 63rd most important book written in Canada, was hugely influential in that it decried the goonery prevalent in the game and the lack of basic playing skills. It also helped effect a major reappraisal of the country’s hockey performance after the 1972 Canada-Soviet hockey summit series. In 2000 Mr. Meeker was inducted as an honorary member of the now 115-year-old Guards Athletic Association and in 2010 he was made a member of the Order of Canada. For his contribution to the development of hockey in Newfoundland and Labrador and in Canada, Howie Meeker will receive the degree of doctor of laws at the 7:30 p.m. session of convocation on Wednesday, May 27, in St. John’s. Dr. Robert Mellin is a scholar, award-winning author, architect, accomplished painter, musician, chronicler, historian of architecture and an outstanding educator. He is an associate professor at McGill University’s School of Architecture. He studied architecture at the Pennsylvania State University (B. Arch., M.Sc. ), at McGill University (M.Arch.) and at the University of Pennsylvania (M.Sc., PhD). Born in Pittsburgh, Pa., Dr. Mellin adopted Newfoundland and Labrador 40 years ago. 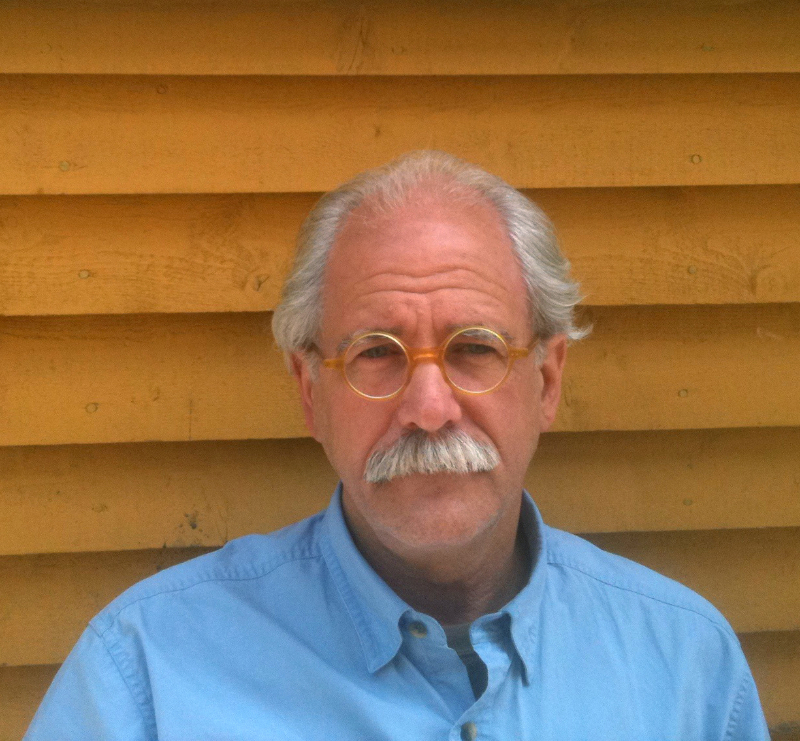 He has been a registered architect in Newfoundland and Labrador since 1978, and he has received numerous awards for his heritage conservation research, advocacy and practice in the province. In 1987 Dr. Mellin embarked on fieldwork and research in Tilting, Fogo Island, which would form the base of his 1990 doctoral degree. He continued his research and volunteer heritage conservation work in Tilting for the next 25 years; the community was subsequently designated The Tilting Cultural Landscape District by the Historic Sites and Monuments Board of Canada and provincially as a Registered Heritage District. His book Tilting: House Launching, Slide Hauling, Potato Trenching and Other Tales from a Newfoundland Fishing Village was published by Princeton Architectural Press and won the 2003 Winterset Literary Award. Through his close relationship with the people of Tilting and its vernacular architecture of houses and outbuildings, Dr. Mellin helped to generate a unique community spirit and put the community on the world map. In 2013 and 2014 he co-authored Syndetic Modernism Volumes I and II, a book series published by Piloto University in Bogota, Colombia. In March 2015 Pedlar Press in St. John’s published Winter in Tilting: Slide Hauling in a Newfoundland Outport, his second book on the Fogo Island community. In 2002 Dr. Mellin was elected to the Royal Canadian Academy and in 2009 he was elected as a Fellow in the Royal Architectural Institute of Canada. He was named a member of the Order of Canada in 2014. For his contribution to a greater awareness of important aspects of Newfoundland and Labrador architecture and for his work on the land and on the page, Dr. Robert Mellin will receive the degree of doctor of letters at the 3 p.m. session of convocation on Thursday, May 28, in St. John’s. Throughout her lifetime, Georgina Hedges has dedicated herself to education, the arts, tourism and rural development in Newfoundland and Labrador. She completed two degrees at Memorial University: a bachelor of arts in education in 1974 and a bachelor of arts in English in 1978. In 1982 she earned a master of education degree from Mount Saint Vincent University and in 1994 she completed her doctor of education degree at the University of Toronto. Her career began as a Grade 4 teacher in Bishops Falls in Central Newfoundland. Whether it was acting as a vanguard for the role of computers in education as early as 1984, tirelessly championing for teachers’ professional development and school improvement or serving on the boards of numerous educational organizations, Dr. Hedges is recognized as an innovative, compassionate and dedicated teacher and administrator. Her passion for improving the quality of education is evident in her many reports, papers and presentations. She co-authored an elementary writing program called Writing and How for Grades 4-6 and Focussing on the Future: An Educational Review of Sent Anneway Kegnamogwom, a review of schooling on the Miawpukek First Nation (Conne River). Dr. Hedges’s contributions to education have not been limited to the primary/elementary school system. 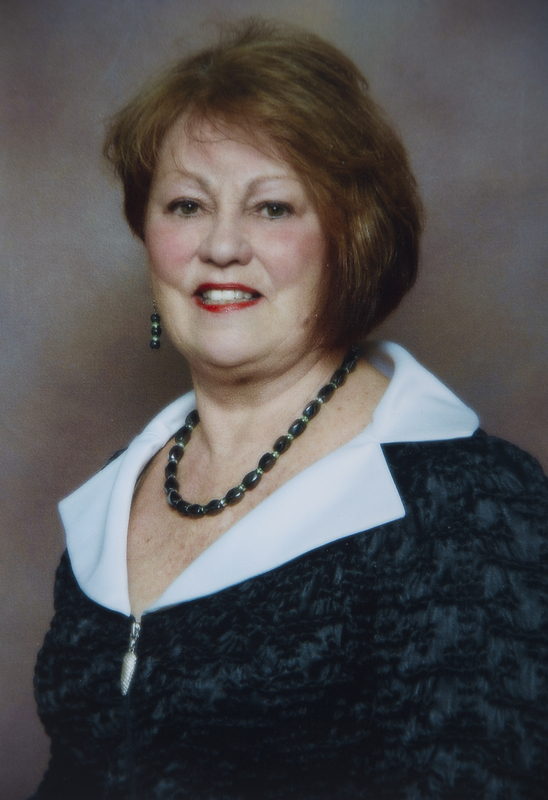 She served as a member of Memorial University’s Board of Regents for nine years, including a term as vice-chair in 2001 and twice as acting chair (2003-04 and 2006). Dr. Hedges’s work has not been solely focused on educational issues. She is a founding member of the annual Winterset in Summer Literary Festival, which attracts national and international stars as well as numerous tourists to the community of Eastport, Bonavista Bay. She is also an entrepreneur: Dr. Hedges and her husband Robert Hedges opened two successful small businesses in Eastport, demonstrating her commitment to the economic and cultural future of rural Newfoundland and Labrador. Hospitality Newfoundland and Labrador honoured Dr. Hedges and her husband with the Norman Parsons Memorial Award in 2005. In recognition of their ongoing commitment to the Eastport area, they also received lifetime memberships in the Eastport Peninsula Heritage Society. Dr. Hedges was awarded the Developer Award of the National Staff Development Council in 1992 and the Newfoundland and Labrador Teachers’ Association’s Barnes Award in 1994. In 2006 she was honoured with Memorial University’s J.D. Eaton Award for outstanding contribution to the university by an alumna. For her contributions to education, the arts and rural communities in Newfoundland and Labrador and to Memorial University, Dr. Georgina Hedges will receive the degree of doctor of laws during the 10 a.m. session of convocation on Friday, May 29, in St. John’s. Driven by a passion for public policy and an appreciation of the interrelatedness of economic and social development, Penelope Rowe has brought considerable foresight and innovation to conceptualizing solutions to effect social change. Born in St. John’s, she graduated from Emerson College in Boston with a bachelor of arts degree in speech pathology. The beneficiary of a Career Development Award for academic studies in offshore development from the Government of Newfoundland and Labrador, she attended the London School of Economics and Political Sciences receiving a master of science degree. She also completed a certificate in business administration at Memorial University. During her early career with CBC television and the Daily News (now defunct), she developed an interest in tackling unfairness and discrimination and became steadily more involved in advocacy. In 1973 she was appointed executive secretary of the Early Childhood Development Association and elected vice-president of the Liberal Party of Canada. In 1976, with her interests in politics, public policy and community action she was hired to establish the Community Services Council (now the Community Sector Council of Newfoundland and Labrador), at whose helm she remains to this day. Confronting issues including poverty, child sexual abuse, building accessibility, affordable housing and the needs of people with physical disabilities, Ms. Rowe was challenged by the magnitude and complexity of the many issues and how they could be addressed. Undaunted, she took up the charge. Her views of the social sector as inextricably associated with a healthy economy were not commonly accepted in the mid-1980s when she was lobbying the provincial government for the development of a social policy framework. Her vision, perseverance and leadership were instrumental in encouraging the Government of Newfoundland and Labrador to embark upon more focused social policy planning. In 1995 she was appointed by then-Premier Clyde Wells to lead the Social Policy Advisory Committee which issued the report Investing in People and Communities: A Framework for Social Development. This report was the foundation for the province’s groundbreaking Strategic Social Plan. Ms. Rowe’s experience has been called upon by numerous federal and provincial governments and national bodies. She was the first non-academic to serve as vice-president of the Social Sciences and Humanities Research Council and for 11 years chaired the NL Workplace Health, Safety and Compensation Commission. In 1998 Chatelaine magazine featured Ms. Rowe as one of Canada’s 50 Most Influential Women. She is the recipient of the Canadian Council on Social Development President’s award for outstanding contribution to social policy in Canada and the Canada 125 medal. She was appointed to the Order of Canada in 2002. For her distinguished and long service to the community, Penelope Rowe will receive the degree of doctor of laws during the 3 p.m. session of convocation on Friday, May 29, in St. John’s.